The temple is located in Yucatán Peninsula, Mexico. 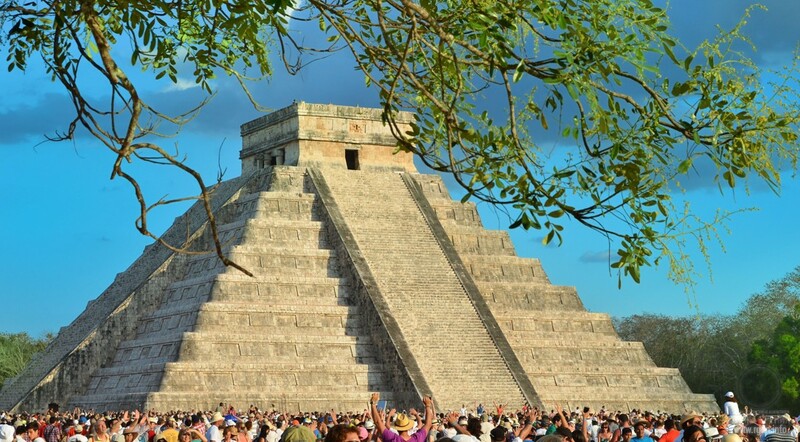 The main pyramidal structure of the temple complex is situated in ancient Maya city called Chichen Itza, which is translated as “the well of Itza tribe”. The temple construction started approximately in the 7th century AD, and knowledge possessed by the brilliant constructors of one of the most famous buildings in the world is striking, especially the accuracy of the temple location relative to the Earth’s poles. If we draw a straight line through the centre of the Temple of Kukulkan, such line will have a 17 degree deviation from the geographical north pole and a 2 degree deviation from the magnetic north pole… These 2 degrees arose over a thousand years, since the magnetic pole is not constant, but rather floating, although as of construction the Temple of Kukulkan was aligned with the earth magnetic pole with absolute accuracy. Such precise positioning of the building allowed recording the equinox days of 21 March and 22 September. 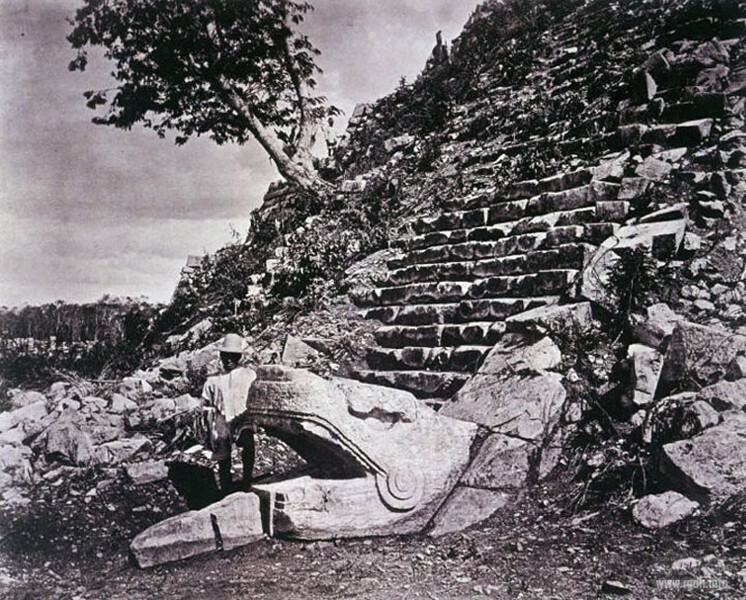 Nobody knows how they managed to build the pyramid such way, but even at the 2-degree deviation the feathery serpent Kukulkan still crawls down from the sky to Xibalba on 21 March and goes back to the sky on 22 September, creating 7 bends of shadow that fall at an oblique angle from nine levels of the pyramid to the foundation of the northwest stairs. dated 10-11th centuries AD and attributed to the Toltec period. Near the temple there is a unique well with steep plain walls, which indicates the settlement had appropriate water supply. 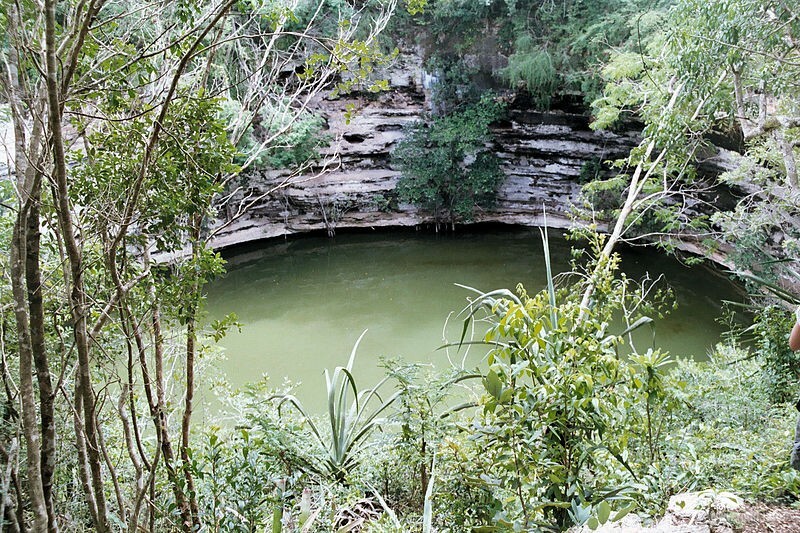 The well is 50 m in depth and 60 m in diameter. In the Maya period, the city of Chichen Itza gained the status of a religious centre, where arts and sciences flourished. In the temple territory there is even a tumbledown observatory dating back to the 7th century AD! It is something to think over, isn’t it? The observatory ruins are well visible in the image below. In the Toltec period, as researchers assume, human sacrificial offerings were actively practiced as an element of the Toltec religion. The most famous and mysterious structure in the city is the stepped pyramidal Temple ofKukulkan or El Castillo (Spanish for “the castle”). Initially, when it was discovered by archaeologists in the 19th century, it looked far not as picturesque as today after the restoration. Jungle and time did their part, having covered the pyramid with sand and verdure. 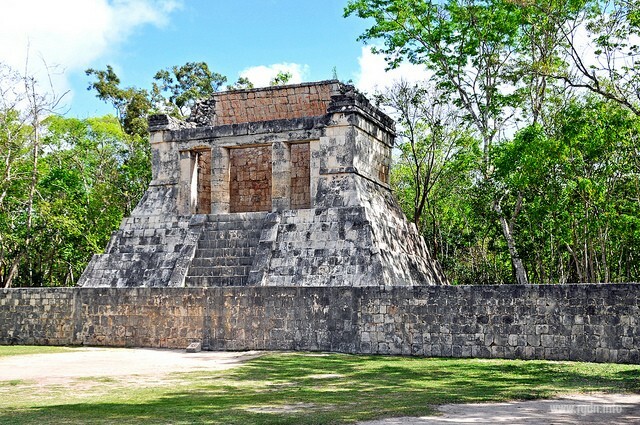 The Temple of Kukulkan is the most mysterious building in the city with plenty of riddles that scientists started to solve only in the 20th century. On the western stairway balustrade the main sacrament in this holy city takes place: light and shadows create a body of a thirty-metre serpent crawling either upwards or downwards on equinox days, depending on the sun movement. 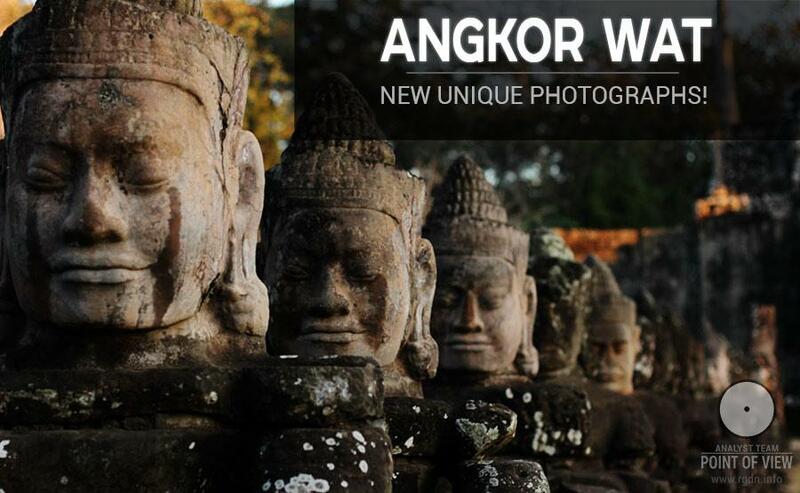 This certainly attracts big crowds of tourists and brings enormous revenues to the state. 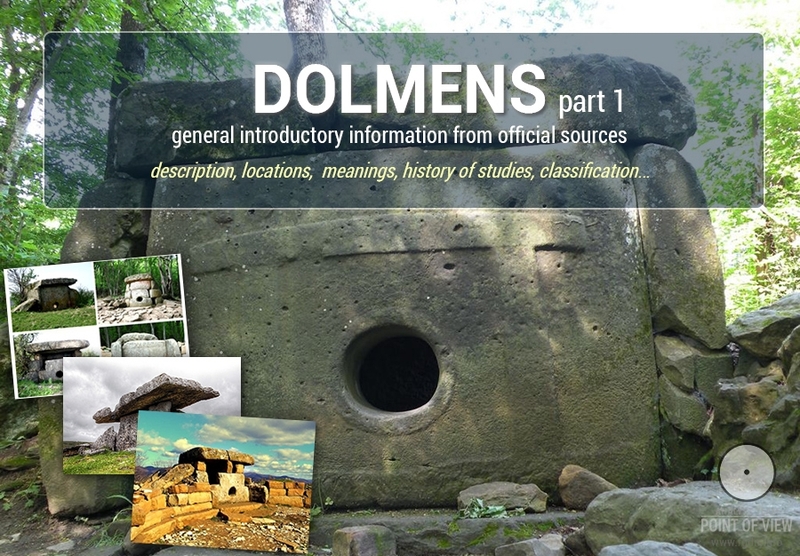 At that, unfortunately, people are interested in the external event and unwilling to think of the internal component – of what the temple constructors wanted to communicate to us, the descendants. The Feathered Serpent image was typical for Maya and Toltec mythology. 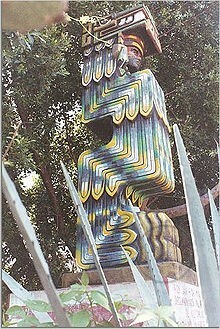 There is a Toltec legend that in 987 Quetzalcoatl was defeated and driven away on a raft that consisted of snakes. A Maya legend says in the same year a chief named Kukulkan (“the serpent covered with quetzal feathers”) arrived to this place and made Chichen Itza his capital. 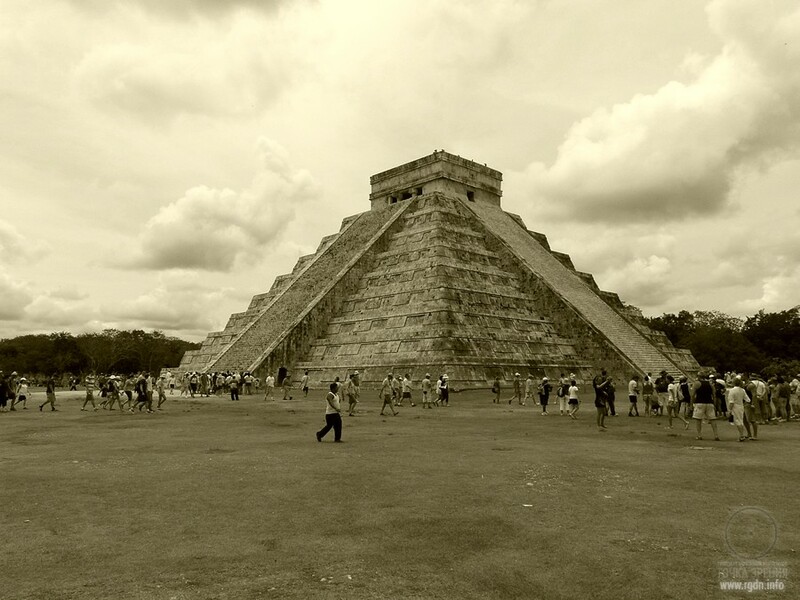 The main temple in Chichen Itza was dedicated to the Toltec and Maya patron Kukulkan. The cult of god Kukulkan was brought to Chichen Itza by the Toltecs who called him Quetzalcoatl – “the Feathered Serpent”. In Mayan, the “Feathered Serpent” sounds as Kukulkan, or K'uk'ul kaan to be more precise. 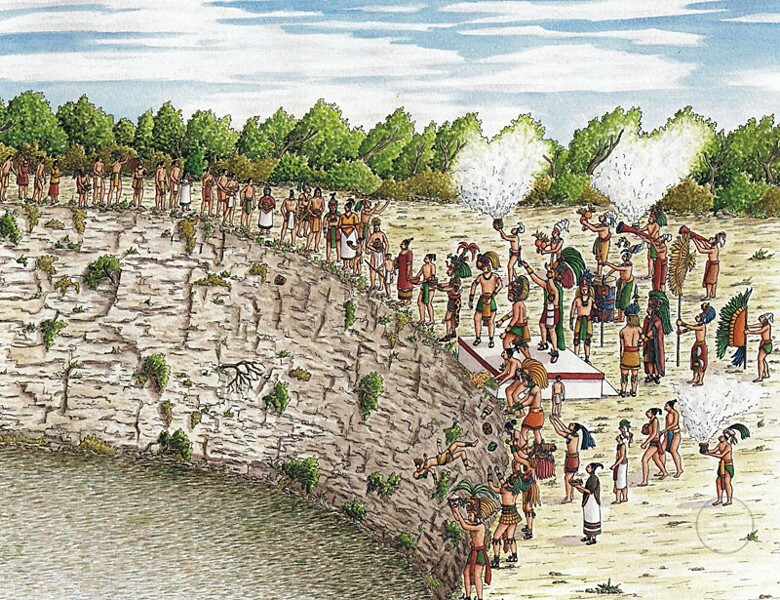 It should also be mentioned that the history of pre-Columbian Americas knows at least two Quetzalcoatls-Kukulkans. One of them was Ce Acatl, or Topilcin Quetzalcoatl, the former lord of Tollan and Toltec leader who conquered Yucatán in the 10th century and was deified already during his life. Another Quetzalcoatl-Kukulkan was the deity of Nahua Indians, the god of air and wind, endowed with features of a cultural hero, the inventor of written language and the patron of knowledge. He forbade Indians to make human sacrifices, recommending sacrifice flowers and herb roots instead. Indians deeply worshiped this deity. 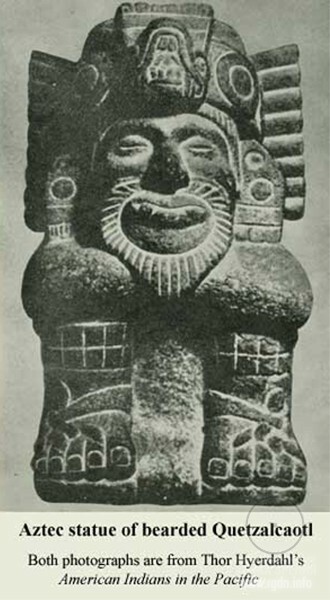 In their tradition he was called the “bearded white deity” and looked like a European, therefore Indians treated Spanish conquistadors so openly and trustfully: they regarded their emergence as the return of Quetzalcoatl with companions. TEMPLE OF THE BEARDED MAN! 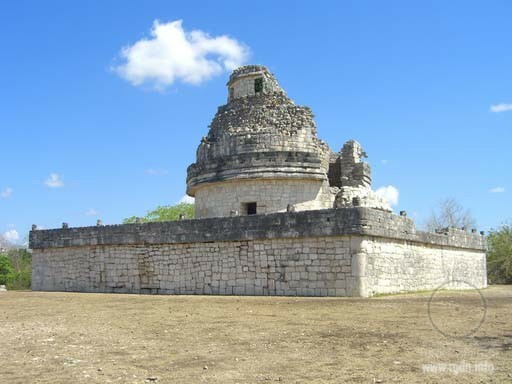 In the complex territory there is a rather interesting building – the Temple of the Bearded Man. It is situated in the northern part of the ball game ground. The temple name is due to the temple interior shape. It is often simply called Northern. The acoustics is marvellous inside the building, making it possible to hear a person’s whisper in any point of the hall. 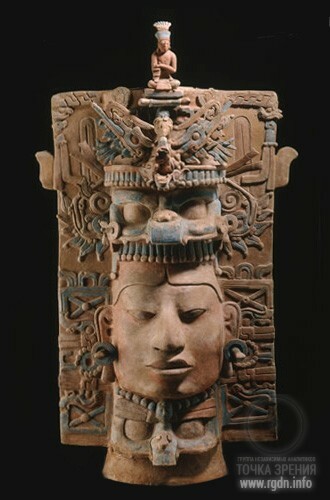 Quetzalcoatl means “a serpent covered with green feathers” or “the precious father of snakes, who sweeps away roads”. In mythology of Central American Indians he is one of the three major deities, the creator of the world, of the human being and culture, the master of elements, the god of the morning star or the twins, the patron of priesthood and science, the lord of Tollan, the Toltec capital. He had many hypostases of which most important are the following: Ehecatl (the god of wind), Tlahuizcalpantecuhtli (the god of the planet Venus), Sholotl (the god of twins and monsters), Ce Acatl, and other. 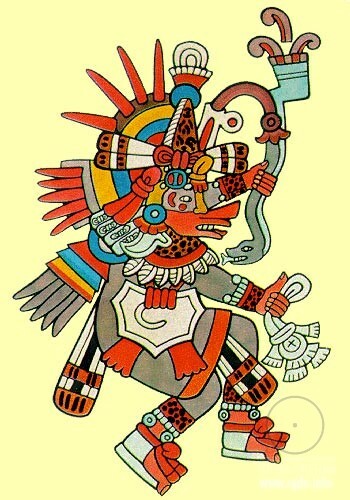 Quetzalcoatl is the son of Mixcoatl and Chimalmat. 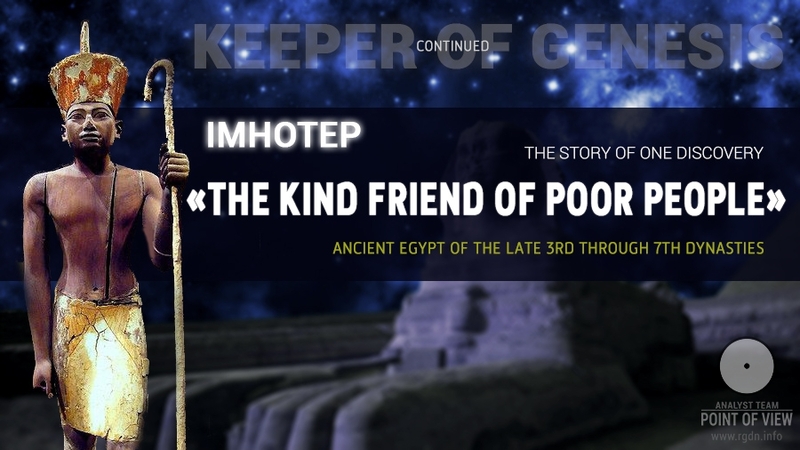 Inside the pyramid there is a mysterious phenomenon that has not been interpreted by researchers until today. It’s an acoustic illusion. Steps of people who walk on outside stairways sound like a quetzal bird singing inside the pyramid. Maya and Aztecs considered quetzal a sacred bird. We can only guess for which purpose such acoustic effect imitating quetzal bird singing was created. You can listen to and compare yourselves the acoustic effect of steps sounding and quetzal singing. A PYRAMID INSIDE THE PYRAMID! 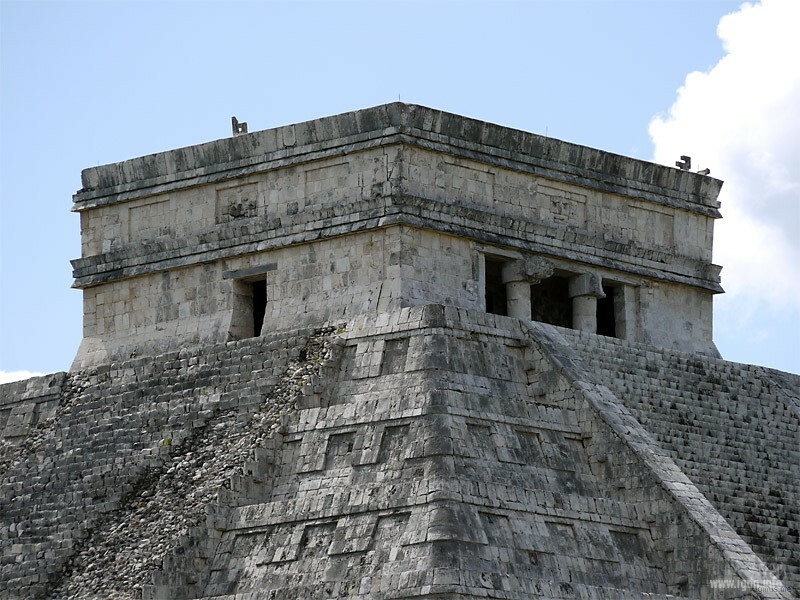 Another mystery of the Temple of Kukulkan is a “pyramid inside the pyramid”: in the depth of the main building there is another smaller nine-stepped pyramid. It’s still a riddle why the temple constructors decided to build one pyramid inside the other. An entrance to this sanctuary was discovered relatively recently, in the 20th century. 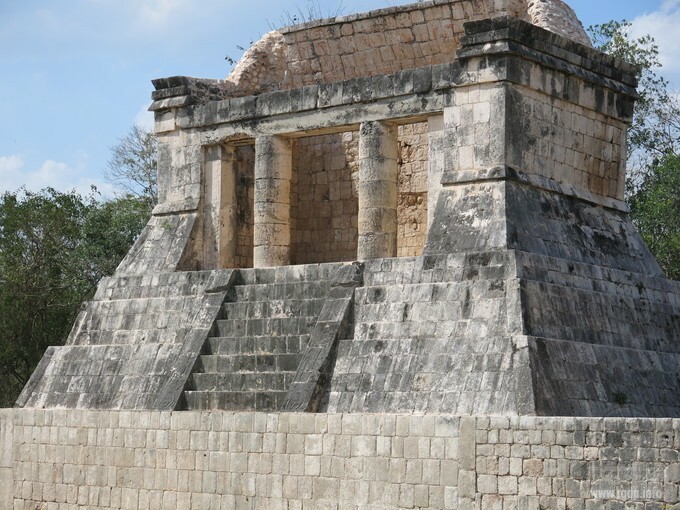 On the top of the outer pyramid there is a small temple with four entrances, where as legends say sacrificial offerings to god Kukulkan were supposedly made. On the top of the inner pyramid archaeologists found a sacred “Jaguar’s Mat” – a symbol of power and a throne of the supreme ruler. The find brought more riddles than answers. 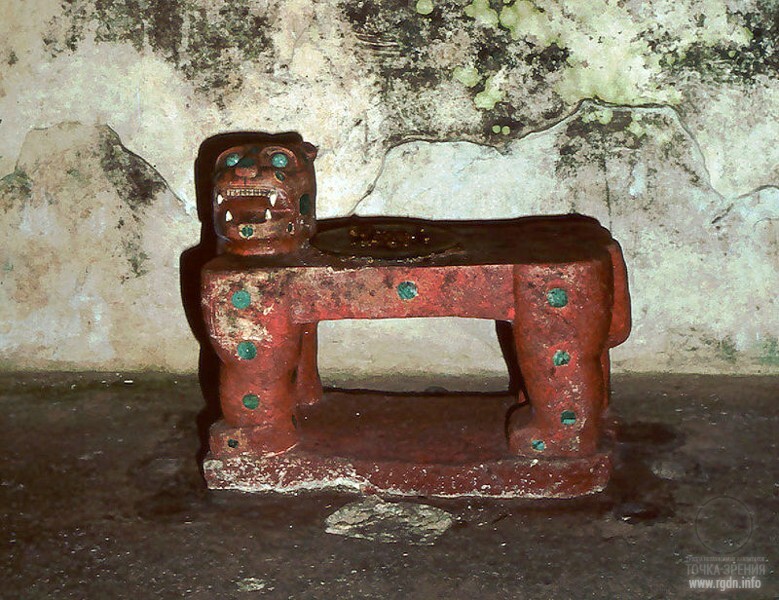 The stone mat is carved as a jaguar figure and represents a throne. The mighty animal body is painted in red and inlaid with green nephrite and shells. Seventy-three nephrite discs imitate spots on jaguar fell. The beast’s wide-open eyes are made of nephrite as well. Bared teeth in its open mouth are carved of pedernale – a stone of volcanic origin. Researchers consider the initial owner of this throne was Topilcin Quetzalcoatl himself. 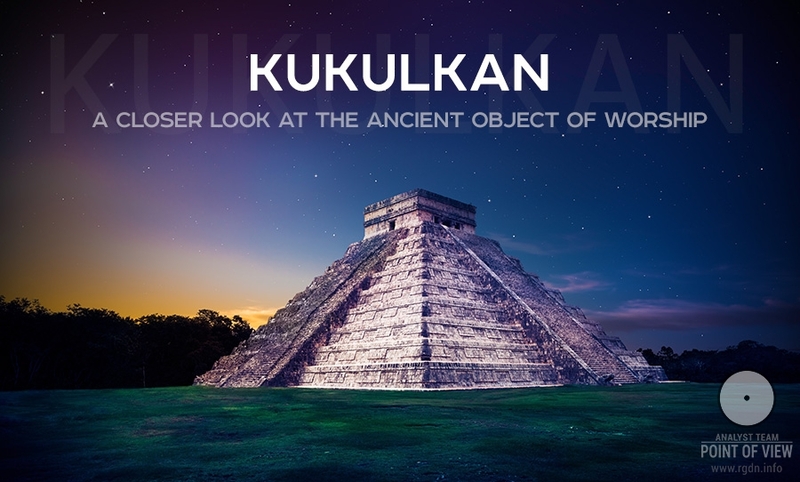 Under the Kukulkan pyramid archaeologists recently discovered an underground lake. Researchers of the Geophysics Institute under the National Autonomous University of Mexico reported this find at a press conference on 13 August 2015. 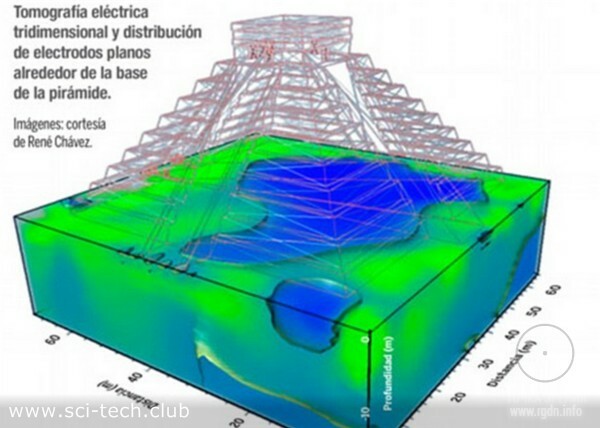 The underground lake was found as a result of an electrotomography study of the soil near the pyramid. A cavity with water is at the depth of about 20 metres under the pyramid foundation. Well, you should agree it’s an intriguing engineering idea to build both structures over a lake. Yet, these are far from being all riddles. If one looks at the pyramid stairway from below, it looks like the width of steps at the pyramid bottom and top is the same. Such optical effect amplifies the building monumentality and grandeur. In actual fact, the stairway widens upwards so as to compensate the effect of perspective. Having quite a large well, the temple complex had decent water supply, while the underground lake could also serve as a good water source. At that, a question arises why historians assert that sacrificial offerings to the god of rain were made in the temple? How could such an assumption emerge? Another peculiarity of the pyramid is the stairway that widens from the bottom upwards. For a person who ascends the stairway there is an effect of the way broadening. Doesn’t this remind you of the Chinvat Bridge? “The ancient Indo-Iranian religion of Zoroastrianism (Mazdaism), which still remains the basis of beliefs of Parsee multitudinous religious sect, considered that souls of deceased appear in front of the Bridge of Separation (Chinvat Parvata) along which they could pass to paradise, which became narrow as a razor for sinners and extended for the righteous (the same image is found in some medieval Christian paintings of hell and paradise).” More details may be found in the article Chinvat. The Bridge over the Abyss. 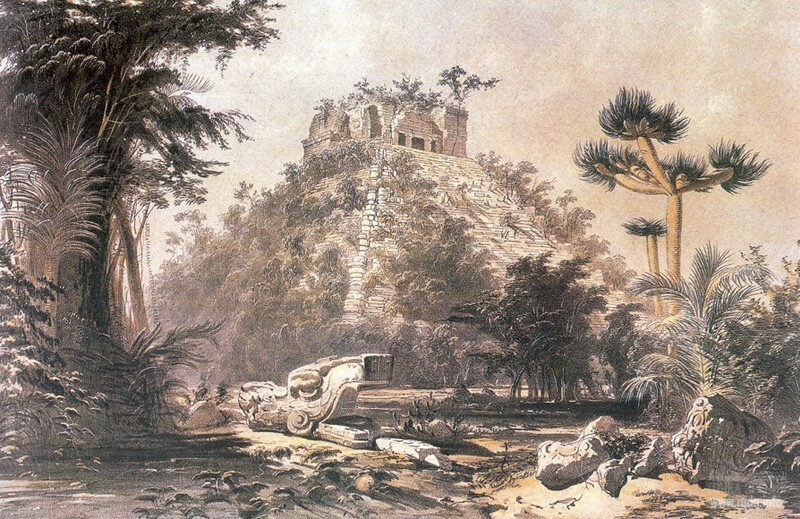 “On the top of the outer pyramid there is a small temple with four entrances, where as legends say sacrificial offerings to god Kukulkan were supposedly made.” What sacrificial offerings can we talk about if based on the remaining spiritual knowledge the civilization certainly achieved flourishing and cultural revival? 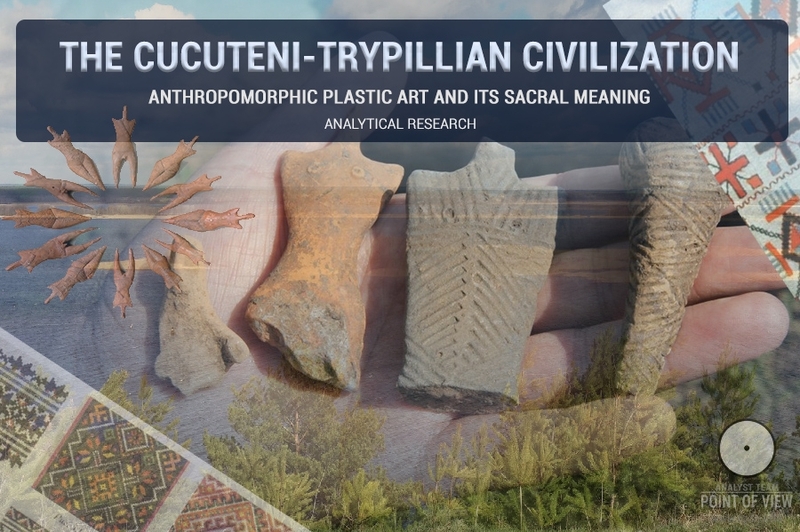 Contemporary scientists are still unable to answer numerous questions, but in their “prominent” works they unanimously hurry to make conclusions on wildness and bloodthirstiness of ancient people. In our opinion, it’s a mere delusion typical for modern history and science as a whole. The seventy-three nephrite discs imitating spots on the Jaguar’s Mat seem a little strange to us. All sources refer to 73 as the number of stones. We should admit we haven't seen the figure ourselves; however, possessing the primordial knowledge, the pyramid constructors were certainly aware of 72 as the number of dimensions in the material universe. Well, we’ll let our readers think and judge. 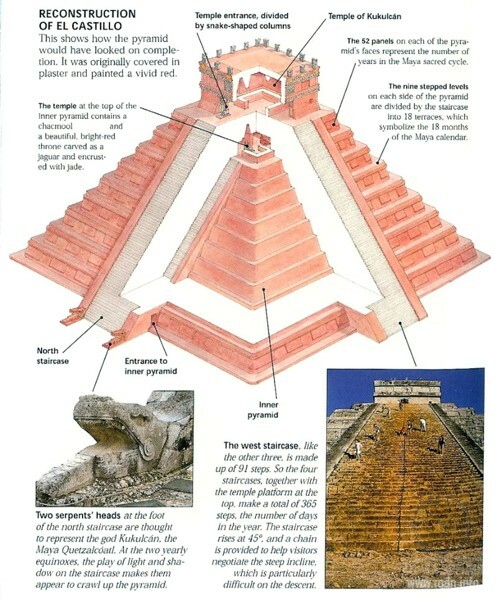 All the aforesaid sonic, optical and architectural effects in the Temple of Kukulkan deserve sincere respect to the temple creators who knew no wheel technology and performed all works manually (let’s remind Maya Indians did not use draught animals). 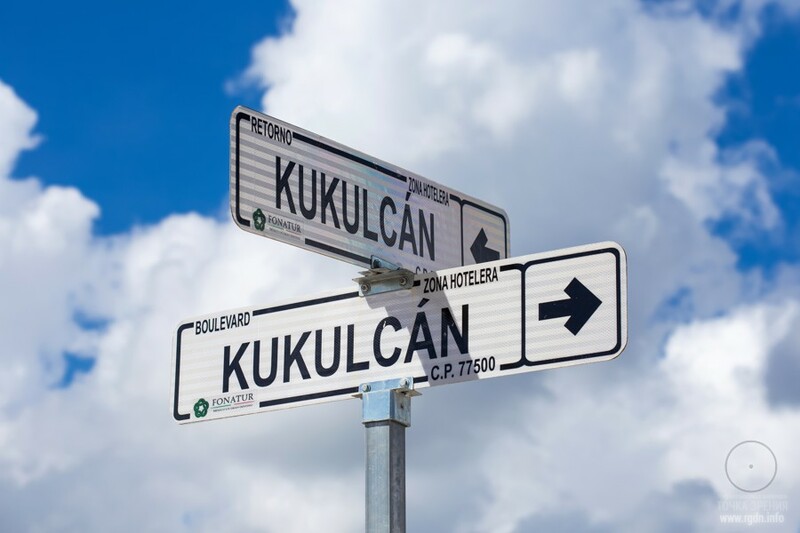 Kukulkan is the god of the four Sacred Gifts: fire, earth, air and water. Isn’t this an association with the four human Aspects? There are two sets of three days: 20, 21, 22 March and 20, 21, 22 September – the vernal and autumnal equinoxes. The pyramid was built in such a way that on these days a light-shadow play takes place, and the serpent appears. The platform reflects the light, and it indeed looks like a serpent. This happens only twice a year, for three days each time, on the vernal and autumnal equinoxes. The sun goes there (the girl shows direction), and at about 4 p.m. the first triangle starts emerging, then the second one, etc. At about a quarter to 5 p.m. the whole serpent is visible. After 5 p.m. the image begins to disappear, starting from its head again. Thus, Maya believed that Kukulkan comes in March and waters the earth, whereas in September it comes again to remind that it’s time to reap the harvest. The pyramid’s main entrance is oriented to the north. See those serpent heads? The heads are looking to the north, though not straight to the north: they are deflected to the right – to the east by 17 degrees.